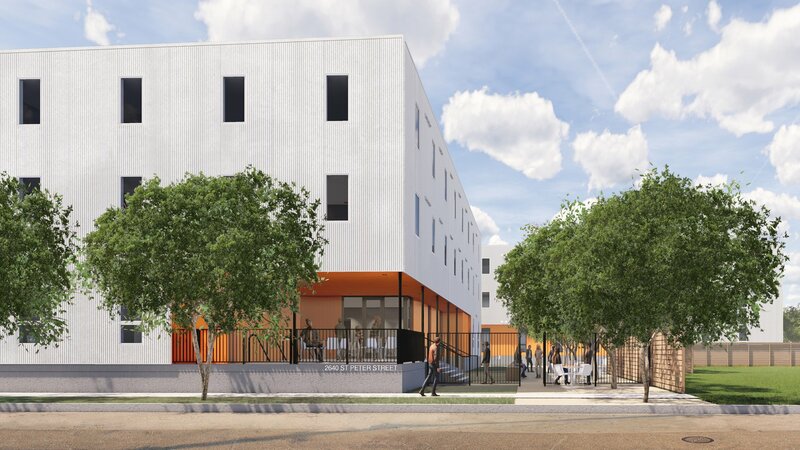 A $7.4 million affordable housing complex, this project will likely serve as the first in the state of Louisiana to achieve net-zero energy consumption, meaning the total amount of energy used by the building is roughly equal to the amount of renewable energy created onsite. Utilizing a combination of passive and active strategies, including a highly efficient HVAC system, lighting controls/fixtures, and appliances, the energy demanded to maintain the health and comfort of occupants is minimal. In tandem with these interventions, a partnership between SBP and Entergy provided the means for 450 solar panels and a battery array capable of producing and storing the same amount of power required to operate the building year-round. 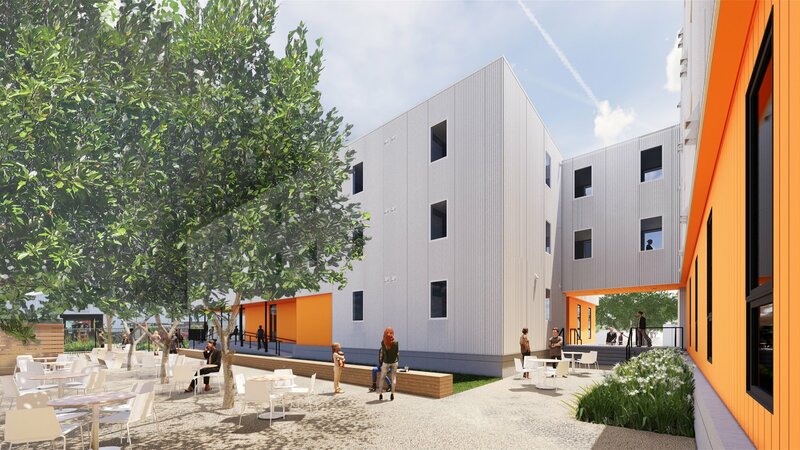 The building is designed to encourage community engagement, which includes a wellness center (for yoga and mediation), a common/meeting room with kitchenette (for both tenants and the public), and a series of public/private outdoor spaces (for socializing, meditation, and community gardening.) The project was designed to primarily house veterans, specifically single mothers returning from Iraq and Afghanistan, and provides a calming oasis intent on building community in a dense urban environment.